The first ghetto: Jews in Venice, Italy are forced to live in a specific restricted area of the city known as Campo del Ghetto Nuovo. (The name comes from the foundry (“gheto”) that used to be located in the area). In addition, when Jews go about their business outside the ghetto during they day, they are required to wear a yellow badge or scarf to identify them as Jews. At the same time, Venice also restricts the living quarters of Germans and Turks, all to comply with the demands of the Roman Catholic Church. The third Chartist petition demanding voting rights for working people is presented to the British Parliament after a rally in London. The government refuses to bring in democratic reforms. Instead, many Chartists are arrested in the months following the rally. Chartist leader Ernest Jones is sentenced to two years in prison for sedition; William Cuffay is sentenced to be transported to Tasmania. 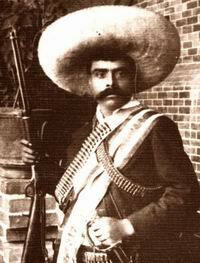 Mexican revolutionary Emiliano Zapata is assassinated after being lured to a meeting. After Zapata’s death, the Liberation Army of the South which he led slowly unravels, and the goals of the rebellion in the south, land reform and justice for poor farmers, are defeated. 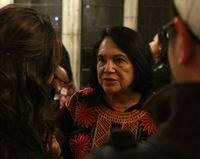 Birth of Dolores Huerta, co-founder of the United Farm Workers. 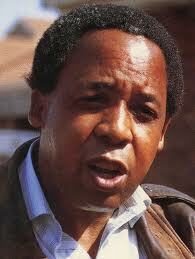 Anti-apartheid leader Chris Hani is assassinated by white extremists hoping to trigger a civil war in order to avert the looming likelihood of black majority rule in South Africa.